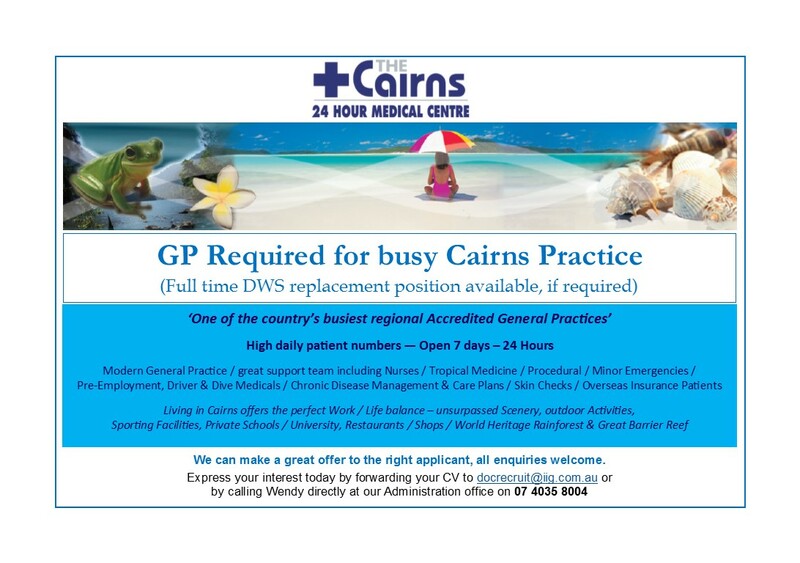 In Cairns we are seeking a full time or part time registered Doctor with exceptional GP skills. 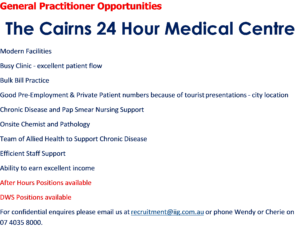 Modern 24 Hour practice located in the heart of the city. Many patients, both walk-ins and appointed. Established patient base. Hours are rostered and can be discussed further. Usual working week is approximately 38 hours and can include weekends and after hours. 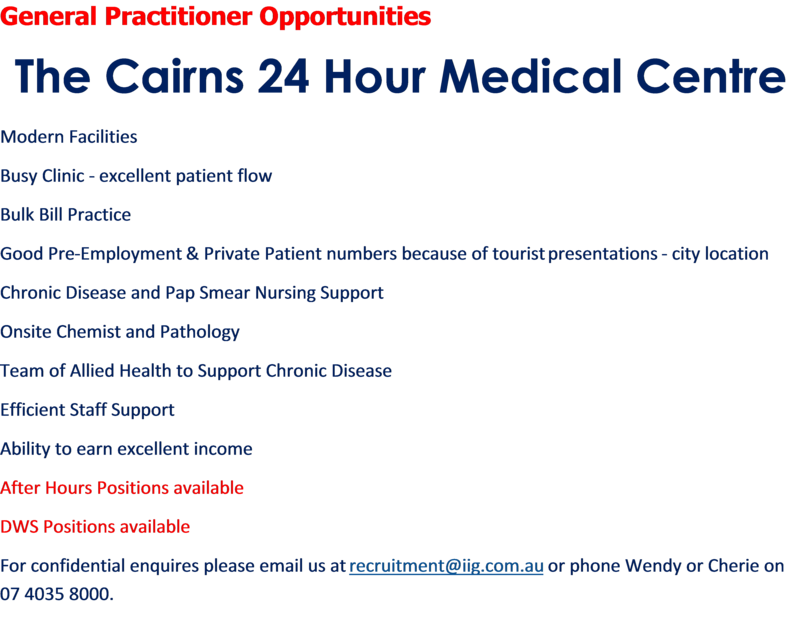 Additional hours should a GP wish to participate are available, as we are open 7 days per week. Bulk Billing Practice with Private Billing for workcover, pre-employment and overseas visitors. If you enjoy assessing a variety of cases, whilst being busy and seeing a diverse patient demographic, this would be the perfect fit for you. Great earning potential – enjoy work with the lifestyle associated living in the Tropical North. Feel free to apply on line, by email to docrecruit@iig.com.au or by ringing our HR Department directly. Call Cherie or Wendy on (07) 4035 8004.